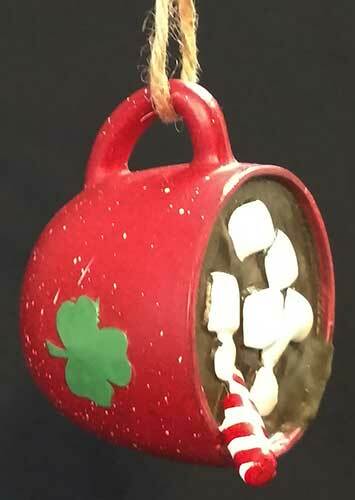 Irish Christmas ornament is hot mug of chocolate that is enhanced with shamrocks along with marshmallows and a peppermint stick. 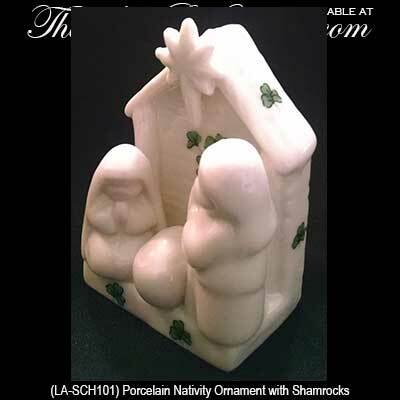 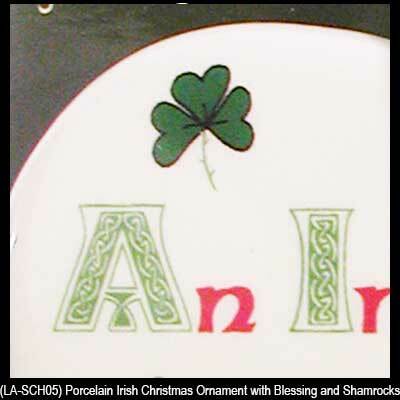 Irish ornament is a glass bauble that features an Irish lass with a shamrock along with the words, Happy o' Holidays. 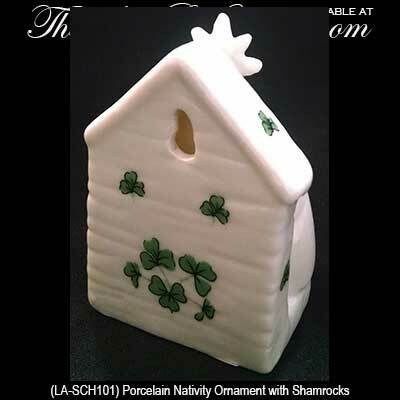 Irish Snowman Christmas ornament features a whimsical design that is enhanced with dangling shoes. 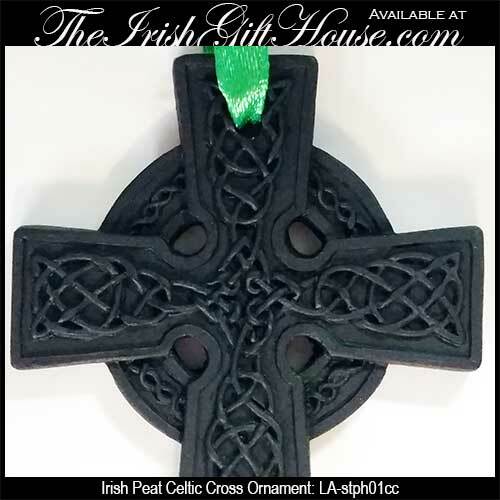 Irish Christmas ornament is a Celtic cross that is carved of turf or peat. 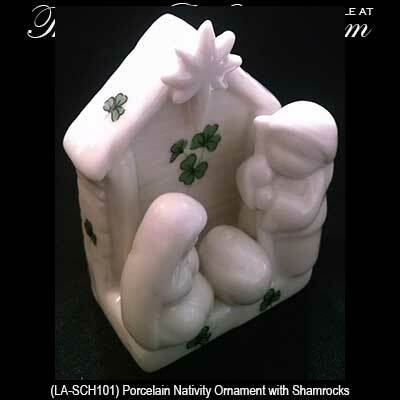 This Irish Christmas ornament features the Claddagh that is carved of turf or peat.